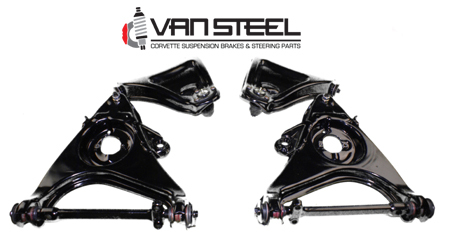 Van Steel will completely disassemble, inspect, refinish and assemble all 4 of your control arms. A-Arms are powder coated gloss black. 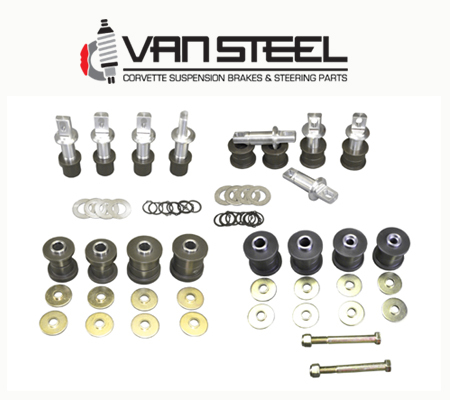 All Ball Joints are rivited in. Shafts are painted stainless steel color. New rubber bushings are installed. Hardware and bumpers are provided with the rebuild. View our latest catalog now! Download the entire catalog as a PDF or fill out our Request form and we’ll mail you one right away!